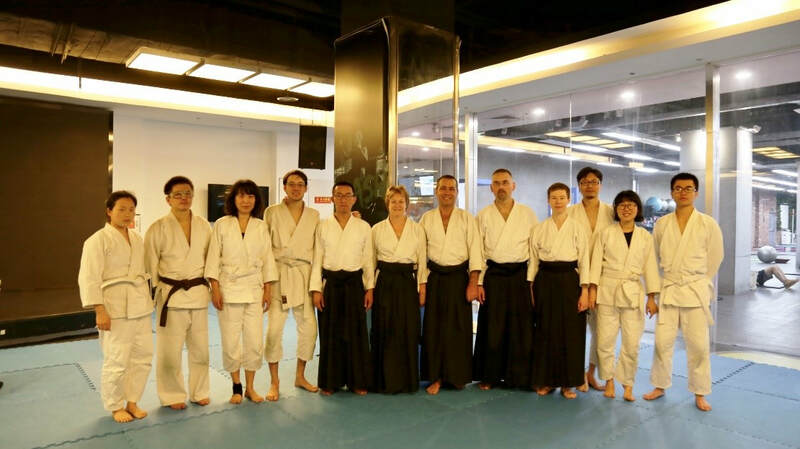 From 14th to 15th April, the annual Aikido Shinryukan seminar with Nobuo Takase Shihan (7th Dan), Chief Instructor of Aikido Shinryukan and Technical Director for New Zealand Aikikai, took place in Beijing. This year, he was accompanied by his longtime students, Andrew Williamson Shihan (6th Dan) and Irene Williamson Sensei (6th Dan), both from Aikido Shinryukan Canterbury (New Zealand). 64 Aikidokas from 13 dojos participated in the seminar and so had the rare opportunity, during a total training time of 10 hours, to learn from these three outstanding instructors. The seminar was rich with new things we could take away. 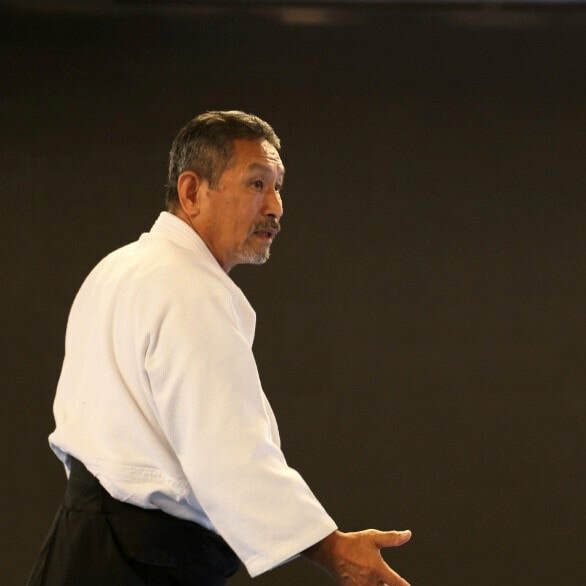 From the basic Taisabaki to Taninzu Dori, it seemed that Takase Shihan wanted to share as much as possible of his knowledge and his experience with us. The three instructors have left us with enough “homework” to do for an entire year. So, three weeks after the seminar, let us look back and remember what they focused on during their classes. Takase Shihan also emphasized softness. Only when our body is soft and relaxed we can react quickly and keep connection with our partner at all times. When we watched Takase Shihan´s demonstrations, we could see that his own movements are an impressive embodiment of this principle. To feel the potential of our body and change ourselves by deliberate practice – this is the challenging task Takase Shihan put to us. If you want to build a house, you need a blueprint. Takase Shihan always emphasizes that in Aikido there is no need to use your power before imaging the way you want to move. In his words: We should always try to draw in our mind a picture of beautiful action and move along the elegant lines with natural movements. He also told us: Find the proper way to make your Ki flow naturally and along those beautiful lines – this is the way to make your Aikido powerful. 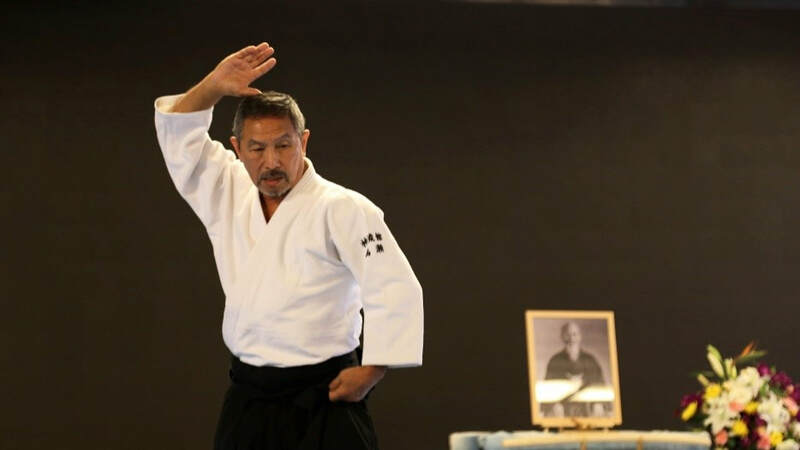 Like every year, Takase Shihan impressed us with his super-slow Mae-Ukemi: a basic movement, but the way he taught it, it became a big challenge! Once again, Takase Shihan reminded us that Aikido does not only consist of Tori´s techniques but also includes the art of Uke. Moreover, you can never be a good Tori until you have mastered the art of Uke. Only then, from the interaction between Tori and Uke, the art of Aikido can reveal itself. Our partners are mirrors in which we reflect ourselves, and this helps us to understand ourselves better. That is why Takase Shihan said we should always show a grateful and respectful attitude towards our Uke. Having been studying Aikido for almost 40 years, Andrew and Irene have acquired a deep understanding of Aikido. Teaching many seminars every year in different countries, they have also accumulated a rich teaching experience. This time, Andrew chose not to focus on one or several techniques, but to discuss the importance of leading and controlling Uke´s mind. This can be done by using both hands in such a way that they lead Uke´s movements alternatingly. The effect of this is that Uke´s attention jumps back and forth between both points where his body is being touched or grabbed by Tori; his mind will be puzzled, which gives Tori the opportunity to break his balance and finish the technique. Andrew demonstrated this principle impressively with a number of techniques, like Ikkyo, and Tenchi Nage. Irene Sensei showed us a dynamic Aikido. She is a living example that women can also develop a powerful style if they know how. 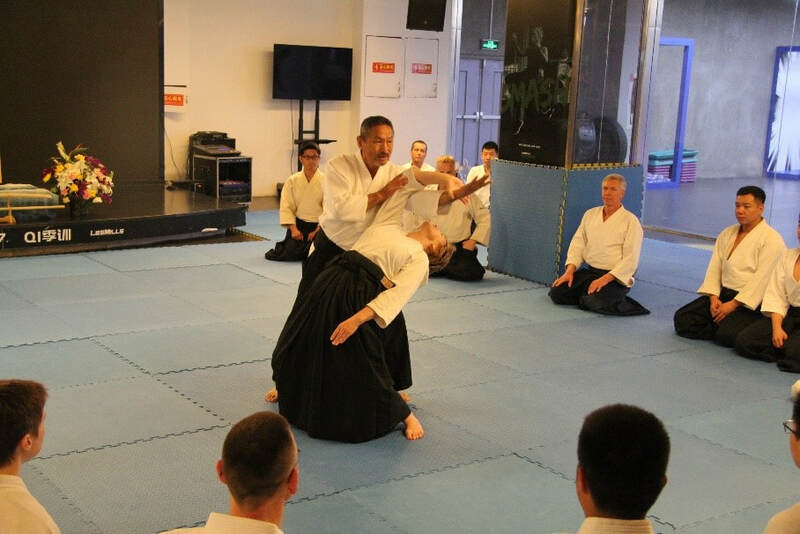 At the seminar, Irene Sensei made the correct use of center power – Chushin Ryoku – the subject of her class. As Takase Shihan always reminds us: when you use your whole body to move and always keep your center, you will realize how powerful you are. Irene Sensei demonstrated how to use center power in Sumi Otoshi, Tenchi Nage, and Kata-dori Ikkyo. She showed us how to “steal” Uke’s center and at the same time keep one´s own center in all these techniques. The beautiful and gentle, yet powerful style of her movements left a lasting impression on us. Our special thanks go to Beijing Xin Dojo and to Aikido Shinryukan Tianjin for their support. Last but not least, many many thanks to all the volunteers for their great efforts and enthusiasm!